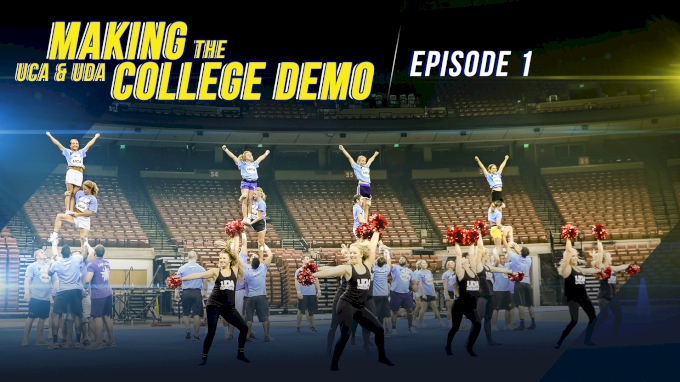 In Episode 1 you’ll meet the instructors and the choreographers who create the demo; and follow along as they try new skills, new dance choreography, and build a performance that is one-of-a-kind from ground up. They only have a few days to get the counts, create the structures and perfect a performance that kicks off college summer camps. It’s not easy, but it’s a lot of fun!